The world has changed a lot in the past twenty years. Cell phones have gone from huge, clunky devices saved for an elite few to sleek do-it-all computers that are in the hands of every adult and many (perhaps most!) kids. Paper maps are unheard of anymore; we just check GPS. 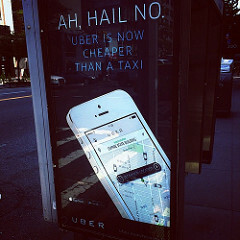 And instead of hailing a cab, we summon Uber, Lyft, or a similar service. As technology changes, the law needs to keep up. One area The Brod Law Firm is watching closely is how the law responds in the case of car accidents involving ride-sharing companies. Greg Brod is proud to serve as a wrongful death and/or injury lawyer for San Francisco Uber accidents, Lyft accidents, and as an attorney for victims of ride-share accidents throughout Northern California. This week, CBS SF reported that loved ones of a man killed in a crash with a Lyft driver in 2014 have filed a wrongful death and personal injury lawsuit against the ride-share company. In the early hours of November 1, 2014, two men summoned a ride using Lyft’s mobile app to return home from a party. News reports say that their driver swerved to avoid a stopped vehicle on Highway 80 and spun off the road and into two trees. One rider died, the other suffered serious injuries. CBS cites a CHP report that found the Lyft driver caused the accident by “making an unsafe turning movement” and was not carrying proof of insurance at the time of the incident. When we hail a cab or, the modern-day equival ent, call for an Uber, we expect to be getting a safe ride to our location. That’s what we pay them. In fact, often people are trying to make the safe choice and responsibly avoiding driving while intoxicated. However, a senseless act of violence in Michigan and a lawsuit pending here in California are both drawing attention to the safety of taxis and Ubers. As a taxi accident lawyer in San Francisco, Greg Brod has experience advocating for those injured when then entrusted the driving to someone else. According to CBS SF, San Francisco-based Uber recently confirmed that the man who allegedly went on a shooting spree and killed six people in Kalamazoo, had passed the organization’s background check. An Uber passenger claims to have called to report an erratic driver over an hour before the shooting rampage allegedly began, saying the driver began blowing past stop signs, driving through medians, and sideswiping vehicles just after receiving a phone call. About an hour later, the first shooting occurred and seven more shootings occurred over the next several hours before the suspected perpetrator was arrested. Uber officials have expressed sorrow and horror. The company prohibits drivers and passengers from having weapons in an Uber vehicle. Armed with recent holiday acquisitions, increasing numbers of amateur enthusiasts are excited to explore the California skies. Today, we return to an issue we looked at in early December: drone accidents involving commercial, recreational, and other non-military operations. First, we look at a recent news report on the growing trend of drone safety classes and the ever-evolving network of drone laws and regulations, including rules that have taken effect since our first drone injury report. We also look at just a few of the drone accidents reported in recent months, accidents that are probably just the tip of the iceberg as drone shift from weapons of war to everyday tools and common toys. Our Northern California drone accident lawyer is committed to staying informed about the issues and laws so that we can help people injured by drones in Oakland, San Francisco, Santa Rosa, and elsewhere in our region. Over the weekend, The Oakland Tribune reported on the new wave of classes available for people interested in flying drones (also called “unmanned aircraft systems” or “UAS”). Recently, 30 enthusiasts of all ages gathered at Concord’s Buchanan Field to learn about UAS safety from a retired flight instructor with more than 80 hours of drone experience. Although the class focused on property damage, we don’t doubt that the instruction can help students avoid injury-causing accidents as well. One of the most controversial tools used by the military and domestic government authorities has become the season’s most in-demand gift. Drones are becoming more powerful and more accessible, with hobbyists of all ages taking the controls. Drones are fascinating, but drone injuries are a very real danger. From interfering with aircraft to injuring an operator or a bystander, drone accidents happen and our Northern California drone injury lawyer is prepared to use a variety of legal theories to advocate for those injured by drones in San Francisco and the surrounding regions. A close call in our area last weekend highlights a potential safety threat from privately operated drones and has the California Highway Patrol (“CHP”) urging operators to take care when flying the devices. According to ABC7, on Saturday night a CHP helicopter was working with Martinez police and flying above Highway 4 when they spotted a small red light. 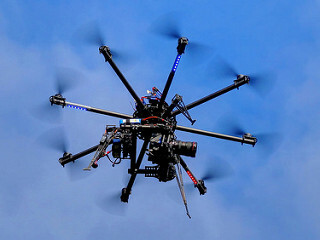 The light turned out to be a drone flying at nearly the same altitude as the helicopter, approximately 800 feet, despite the Federal Aviation Administration’s (“FAA”) recommendation that drones remain under 400 feet. Luckily, the CHP pilots, travelling nearly 100mph, spotted the drone in time and banked allowing the drone to fly by the helicopter. CHP officials believe they have identified the drone’s operator and have turned the incident over to the FAA to determine an appropriate response. It is a topic that can spark quite a bit of discussion around the watercooler at our San Francisco injury law firm – Are driverless cars the future of safe driving or a dangerous detour? We put our trust in computers every day and human error is certainly at the root of many car accidents, but can a computer ever respond the same way a driver can? What balance between human and computer would provide the safest solution? We have come to expect a certain level of privacy in our lives. This includes simple things like expecting people to respect a closed bathroom door and much more complex matters like the protection of electronic health records. With technology changing at a rapid pace, our understanding of individual privacy is changing too. The law is also evolving and, as Northern California privacy rights attorney Greg Brod knows, under some circumstances a violation of an individual’s right to privacy can give rise to a civil claim under California law. One Richmond man is facing both criminal and civil claims involving the alleged theft of racy photos from a woman’s cell phone. According to The Oakland Tribune, Jose Robert Miranda was working at a Radio Shack in Corte Madera when a 28 year old woman brought her phone to the store to have the screen repaired. The woman says that at some point after that visit she was deleting photos from her tablet, which was connected to the phone, when she noticed that 17 pictures had been sent to an unfamiliar number. The photos involved were private pictures of the woman in little or no clothing. Central Marin Police determined that Miranda had serviced the phone at Radio Shack. According to police, Miranda essentially admitted to stealing the photos and sending them to his own device. The news about security breaches at well-known retailers and other businesses keeps rolling in – after the mega-breach at Target, there were revelations about identity theft at Neiman Marcus as well as major hotels in the United States. The fact that millions of card holders’ personal information may have been compromised due to the various schemes is distressing enough, but another fact that San Francisco personal injury attorney Gregory J. Brod finds troubling is that technology already exists that could have prevented much of the theft. The problem at Target and the other businesses that experienced security breaches is that they have been employing magnetic strip cards to process their transactions with customers – technology that dates from the 1960s – and the magnetic strip cards are easy for thieves to hack. Among the few remaining countries where credit and debit cards still depend on a magnetic strip to store and transmit account information, a group that unfortunately includes the United States, hackers have found a haven. As opposed to magnetic strip cards, chip-based “smart cards,” which have an embedded microchip within them that requires a personal identification number to access the encrypted personal information, are much more difficult for thieves to hack. Anti-fraud legislation and government mandates have driven companies to adopt chip-based cards in Europe and Asia, respectively. The ramification of the United States not having adopted chip-based cards while 80 other countries has been profound. Indeed, according to Forbes, the United States represented 27 percent of global credit card payment but 47 percent of all fraud in 2012. The experience of having undergone a massive security breach apparently was enough for Target to announce that it was speeding up implementation of a chip system in its proprietary “REDcards.” Interestingly enough, according to Benzinga, Target as well as other retailers have already adopted smart cards in Canada, where losses from card-skimming schemes dropped 72 percent between 2008 and 2012. In Europe, identity theft has been 67 percent lower over the last nine years. 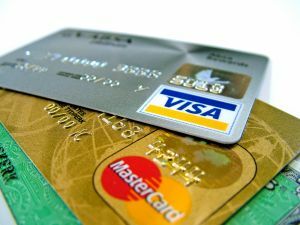 Companies that process credit card transactions such as Visa and MasterCard, eager to stem further losses, have set an October 2015 deadline for banks and retailers to adopt smart cards. And the incentive for getting banks and retailers to switch all boils down to the issue of liability. 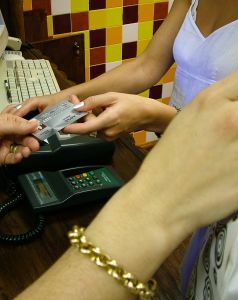 That’s because whereas right now, the bank that issued a card usually absorbs the cost of fraud, but after the October 2015 deadline, any merchant without a chip reader will be required to absorb the cost if they process a magnetic strip transaction from a card that is supposed to have a microchip. And the reason why merchants and banks have been slow to adopt smart cards revolves around a simple issue: money. That’s because banks will have to spend more money to produce the more expensive smart cards and merchants will have to spend money to replace swipe machines with smart card readers. The post-holiday period is usually associated with exchanges of merchandise, white sales and an anticipation of the Super Bowl. Not too many people expect that the first few weeks of January should be preoccupied by a concern that one’s personal information has been compromised by a security breach, but that’s what many, many people must concern themselves with this month as a result of the revelations concerning a much bigger than originally thought security breach at Target and beyond. And the news has San Francisco attorney Gregory J. Brod wondering whether the latest revelation is just the tip of the iceberg regarding this story. According to CNN, the Department of Homeland Security announced Thursday that malware originating in the former Soviet Union may have infected the point of sale devices of Target, resulting in a massive security breach at the big retailer during the holiday shopping season. The advisory comes on the heels of the known breach at Target, which compromised credit card numbers and other personal information of up to 110 million customers. Target, after initially downplaying the scope of the breach, later owned up to a breach that encompassed such sensitive information as a cardholder’s PIN for a debit card, name, address, phone number and email address. But more alarmingly, the Department of Homeland Security warning stated that consumers should be aware that the malware that infected Target’s point of sale system may have invaded the point of sale systems of other retailers. Once gaining a foothold in point of sale devices, the malware monitors data processed on the device and passes on the information to a recipient not connected with the retailer. In the wake of the Target hack – which exposed up to 40 million in-store customers and 70 million additional customers to the breach – the retailer has provided new debit and credit cards to its customers and offered apologies to those whose identities were compromised. But whereas the government has warned consumers to be vigilant in a broad sense over their credit and debit card purchases of merchandise, there is evidence to suggest that Target may have been at the epicenter of data theft this holiday season. According to The New York Times, experts in cybersecurity and credit have stated that Target’s point of sale system was particularly vulnerable to attack from hackers, largely because the retailer’s system was remarkably open. That wide-open porthole, experts say, enabled hackers to casually shop around from system to system and gather information as they pleased. As a result of the relatively easy installation of the malware, known as a memory scraper, the criminals were able to put credit and debit cards up for sale on the black market – and many innocent shoppers who originally owned the cards began seeing unauthorized charges on their statements. At The Brod Firm, our San Francisco injury lawyer dedicates time to staying up-to-date on the latest court rulings and legislative changes in order to fully represent each and every client. The interplay between law and technology is fascinating and ever-involving. Topics such as intellectual property theft and privacy evolve constantly as our world becomes more and more connected. While people might imagine that personal injury litigation is a more static field, it also evolves to accommodate a changing society. On Tuesday, Governor Brown signed a law making California the third state in the nation to explicitly legalize driverless vehicles. The San Francisco Chronicle reported on the legislation which the Governor signed at Google’s Mountain View headquarters where company innovators have been working on a computer-navigated car for a number of years. SB 1298 formally okays the testing of vehicles on California’s public roads, although it does require that a driver still be seated and ready to take over if necessary. 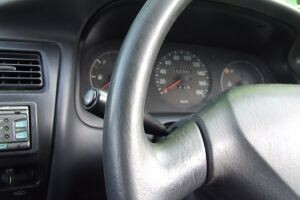 Additionally, the law sets out a framework for manufacturers seeking permits to build and sell the computer driven cars to the public and requires the DMV to adopt regulations governing the vehicles by January 2015.